Great Date Nights in New Jersey! New Jersey hosts many diverse things to do with your sweetheart. In one day you could visit a beach, take a great hike in the wilderness, climb a mountain, and fine dine in a city. In this multi-part series we will explore fun places to fall in love all over again. Come experience the most advanced custom hands-on winery on the East Coast. With more options than any other custom winery in the region, you personalize your wine by choosing the region, grape type, barrel type, and the amount of aging it will receive. You actively participate in the four key steps of winemaking: crushing, pressing, racking and bottling. Each bottle, finished with your custom label, is truly your creation and can be served with pride. The same grapes used in the best wineries in the U.S. are now available to all winemakers in New Jersey. In the Fall, award-winning grapes are shipped to our location, from the renowned California wine regions of Amador, Sonoma and Napa Valley as well as Washington state. In the Spring, grapes are shipped from Chile and South Africa. Most Importantly ??? It?? ?s Fun! I’ve been here many times and the staff is wonderful. Its very welcoming to new comers an many of the advanced climbers seem to enjoy giving advice and making your experience that much better. The Gravity Vault Indoor Rock Gyms’ mission is to make everyone’s rock climbing experience with us a positive and memorable one! We strive to provide a welcoming environment for everyone young and old, big and small, novice and expert, to challenge them self each day. The Gravity Vault wants each person who walks through our doors to believe that new heights can always be reached, in all aspects of life. Stumpy's Hatchet House offers a back-to-basics form of recreation, bringing together friends for a primitive and organic experience. In this adults-only business, our customers experience "a social throwdown" — meeting friends, throwing hatchets to targets in a competitive game, cheering one another on, and ringing the bulls-eye bell! We believed there was a need for activity and socializing, a place where people could "power down" and engage in something that was invigorating and unique. Stumpy's features eight throwing pits that accommodate up to eight people each for the sport of hatchet throwing. After a brief training with their throwing coach on safety and procedure, participants are led into the rustic outdoor-like setting of the hatchet throwing pits, complete with tall timbers and an outdoor feel. The Delsea Drive-In was built in 1949, closed in 1987, and reopened in 2004. 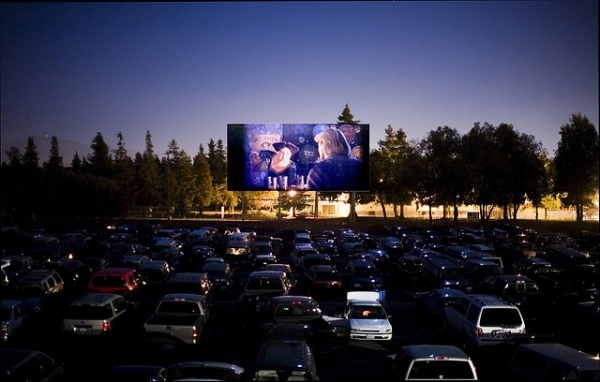 Located in Vineland, New Jersey, it is New Jersey's only drive-in movie theatre. It is less than a one hour drive from Atlantic City, Philadelphia, and Delaware. Combining the nostalgia of the drive-in movie theatre with modern technologies and healthier food choices, the Delsea Drive-In offers affordable family fun for all ages. The number of drive-ins has fallen from over four thousand to less than four hundred over the past few decades, largely in part to increasing real estate values and the popularity of the fast food industry. The concession stand is where the drive-in covers operating expenses. In either your own drive-in experiences or wanting to create drive-in memories for your children or grandchildren remember one thing, "If you eat here, we'll be here." Join us on the Miss Barnegat Light for a cruise into the Atlantic Ocean. Enjoy the fresh air and adventure with your family. Many nights throughout the summer dolphins are spotted, along with a very occasional whale. Bird life and beautiful views of the Barnegat Lighthouse and the breathtaking sunset are a must see during your visit to Long Beach Island. Children get the chance to steer the boat in the pilot house with Captain Lou. This offers a great photo op for the kids. We cannot think of a better way to celebrate spring and all the glory of getting past winter then looking forward to a balloon ride! Come with us when the colors pop and the green takes over! Wipe off those cold memories and let us take you on an adventure to remember. These are just a few of the words we frequently hear to describe a hot air balloon flight over beautiful NEW JERSEY. 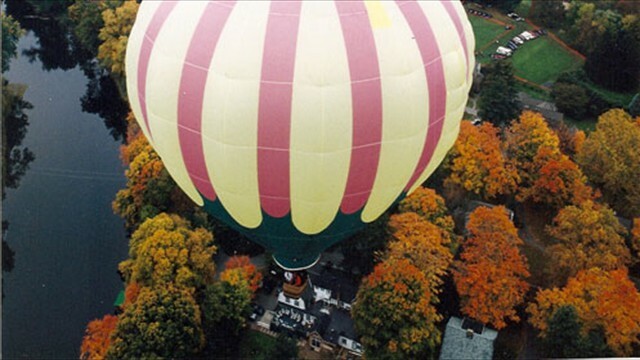 And what better place to go on a hot air balloon flight than over historic Hunterdon County - the heart of New Jersey. Come out to "the country" and take an aerial voyage to explore the many sights and sounds of the great outdoors. And see all of this at a pace and speed you rarely get to enjoy – slow and easy. View the beautiful rolling hills of Hunterdon and Warren Counties while you look out for wildlife that is frequently spotted just below. Wave to those on the ground excited to see you as you glide above. Experience for yourself the spectacular feeling of viewing the landscape from your aerial platform - your "Nature Walk In The Sky!" The fires still burn here at WheatonArts! A national cultural treasure, WheatonArts is located on 45 wooded acres in southern New Jersey. WheatonArts is home to the Museum of American Glass, an international Creative Glass Fellowship Program, the largest Folklife program in the Garden State, a Hot Glass Studio, several traditional Craft Studios, four Museum Stores, a 9,000 sq. ft. Event Center and a beautiful pond-side picnic grove – a true Pineland Sanctuary! In addition to daily glass blowing and artist demonstrations, WheatonArts features special exhibitions, programs, workshops, performances and several weekend festivals (including the award-winning Festival of Fine Craft) throughout the year. The quaint shoppes and boutiques are fun to explore and the kids will love picking up stick candy, taffy or chocolates at candy stores like the Village Sweet Shoppe or at Sweet Things. You can rent paddle-boats and fit three in each boat for a peaceful ride around the village and an up-close look at the giant fish swimming in the gentle Lake Meone. Ducks and geese wander freely around the village hunting for tossed snacks. If exploring the village works up your appetite, there are plenty of amazing places to eat. If you're up early, catch breakfast and fresh-baked pastries, rolls, breads at the Smithville Bakery. Fred and Ethel's Lantern Light Tavern is a great lunch spot with delicious burgers for around $10 and they have a kids menu. Don't forget to check out the carousel or catch a train ride on the Smithville Railroad Company cars. Or stop by one of the village's coin-operated arcades, captain remote-controlled boats at Captain Fitz's Marine or visit the Old Fashioned Shooting Gallery.